Jukebox helps launch festival magazine, Instinctif's Nichols joins PRCA board, wins for CommsCo and Social Comms, and more from PRWeek UK. Instinctif Partners deputy chair Richard Nichols, who left the CEO position in November, has been appointed to the Board of Management of the Public Relations and Communications Association (PRCA). 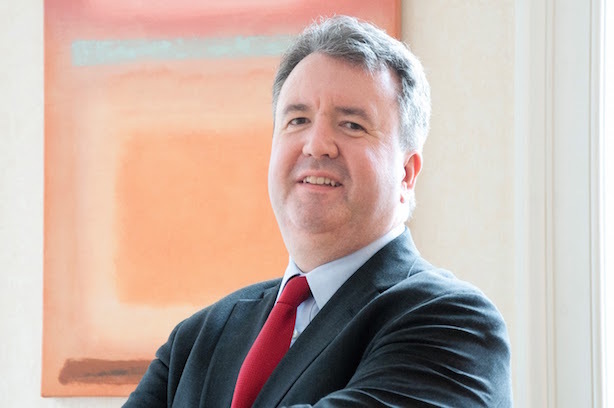 Nichols was recently handed the role of deputy chairman at Instinctif Partners, the international business communications consultancy, having been CEO for twelve years between 2006 and 2018. Jukebox PR is providing PR and comms support to launch the world’s first festival lifestyle print magazine, FestWorld Magazine, in March. The quarterly will cover travel and food, fashion, art and music for festival goers around the world and is available at airports and music festivals across the globe. The magazine is founded by Scotty Moore, an entrepreneur with more than 20 years of print and digital media advertising experience, and the founder of FestPop.com. Clear Review, the UK performance management scale up that enables more meaningful and continuous employee feedback, has chosen CommsCo as its retained PR agency for the UK. Headquartered in London by entrepreneur Stuart Hearn, who was previously HR director at Sony, Clear Review was created to provide an alternative to the "ineffective annual appraisal". The company has more than 150 customers, with brands including Ricoh, Clydesdale and Yorkshire Banking Group (CYBG), Investors in People and Abellio. Social Communications has been appointed to deliver a video project on behalf of The National Lottery, and to lead on external PR and communications requirements for the First Ark Group. The £2 million turnover agency will respond to two distinct briefs. The National Lottery work involves producing, filming and editing six pilot-promotional videos focussing on prominent athletes who have benefitted from National Lottery funding returning to their home towns in North East England. For the First Ark Group, Social Communications will promote good work being delivered across neighbourhoods and managed by its group member, Knowsley Housing Trust, plus delivering relevant human interest stories. The brief includes communications support and guidance for other members of the First Ark Group. Manchester event venue EventCity has appointed PR Communications agency Rule 5 to support its growth strategy for 2019. The agency will work with EventCity to promote the venue’s capability as the largest and most accessible venue of its type in the North of England. EventCity offers more than 28,000m2 of conference and exhibition space and is located "minutes away from the M60".